Labour Market Snapshots are a new monthly feature designed to give you quick insight into various sub-sectors, so you can stay on top of industry trends and spot potential career opportunities. 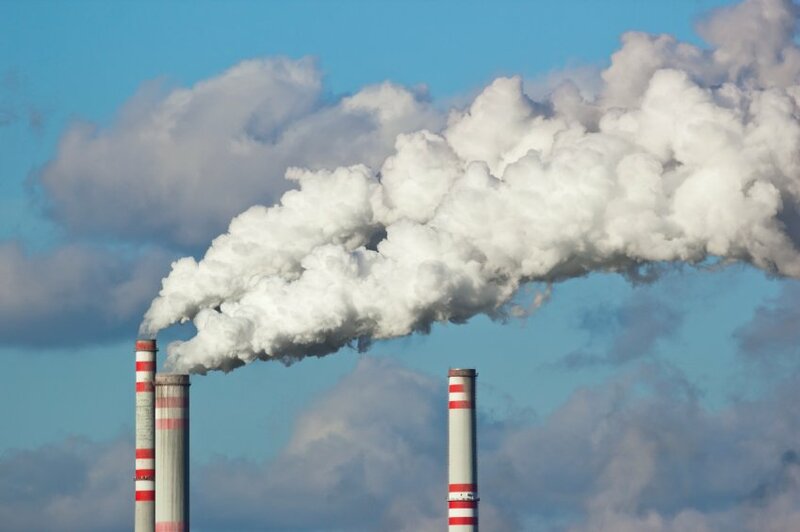 If you’re an environmental professional focused on air quality (or thinking about becoming one), this month’s snapshot offers up some good news: demand will likely to grow for this sub-sector. 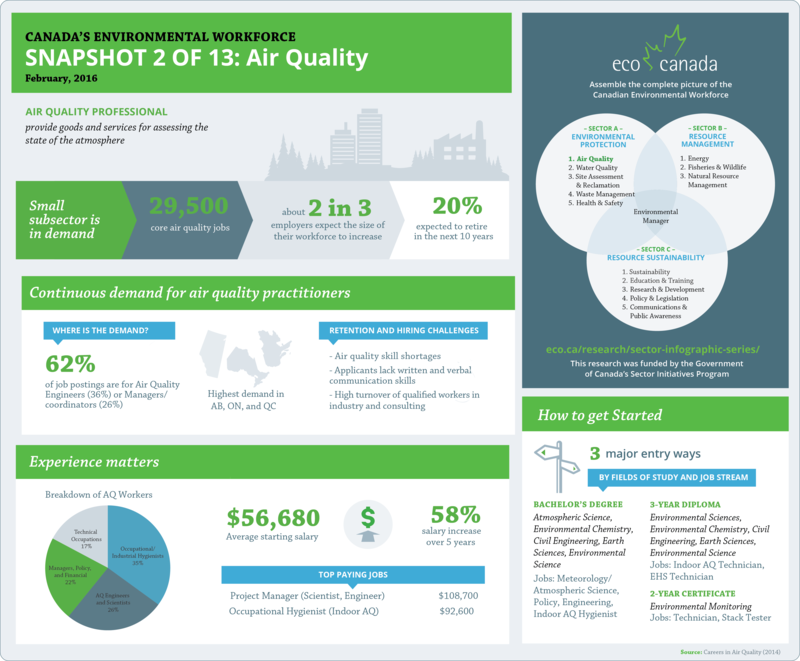 The Air Quality Snapshot is the result of labour market research conducted by ECO Canada’s research team. It examines the size and demographics of the sub-sector workforce in Canada, the number of employers, and job post activity. The conclusions? Employers expect their need for air quality specialists to increase, even as approximately 20% of the available workforce is set to retire in the next 10 years. See the snapshot below and explore other labour market trends uncovered by our research team.